At Frontis Energy we have spent much thought on how to recycle CO2. While high value products such as polymers for medical applications are more profitable, customer demand for such products is too low to recycle CO2 in volumes required to decarbonize our atmosphere to pre-industrial levels. Biofuel, for example from field crops or algae has long been thought to be the solution. Unfortunately, they require too much arable land. On top of their land use, biochemical pathways are too complex to understand by the human brain. Therefore, we propose a different way to quickly reach the target of decarbonizing our planet. The proce­dure begins with a desired target fuel and suggests a mi­crobial consortium to produce this fuel. In a second step, the consortium will be examined in a bio-electrical system (BES). Today’s atmospheric CO2 imbalance is a consequence of fossil carbon combus­tion. This real­ity requires quick and pragmatic solutions if further CO2 accu­mulation is to be prevented. Direct air capture of CO2 is moving closer to economic feasibility, avoid­ing the use of arable land to grow fuel crops. Producing combustible fuel from CO2 is the most promis­ing inter­mediate solution because such fuel integrates seamlessly into existing ur­ban in­frastructure. Biofuels have been ex­plored inten­sively in re­cent years, in particular within the emerging field of syn­thetic biol­ogy. How­ever tempt­ing the application of genetically modified or­ganisms (GMOs) ap­pears, non-GMO technology is easier and faster to im­plement as the re­quired microbial strains al­ready exist. Avoiding GMOs, CO2 can be used in BES to produce C1 fu­els like methane and precursors like formic acid or syngas, as well as C1+ com­pounds like ac­etate, 2-oxybut­yrate, bu­tyrate, ethanol, and butanol. At the same time, BES inte­grate well into urban in­frastructure without the need for arable land. However, except for meth­ane, none of these fuels are readily com­bustible in their pure form. While elec­tromethane is a com­mercially avail­able al­ternative to fossil natu­ral gas, its volumetric energy den­sity of 40-80 MJ/m3 is lower than that of gasoline with 35-45 GJ/m3. This, the necessary technical modifications, and the psychological barrier of tanking a gaseous fuel make methane hard to sell to automobilists. To pro­duce liq­uid fuel, carbon chains need to be elongated with al­cohols or better, hy­drocarbons as fi­nal prod­ucts. To this end, syngas (CO + H2) is theoreti­cally a viable option in the Fischer-Tropsch process. In reality, syngas pre­cursors are ei­ther fossil fu­els (e.g. coal, natural gas, methanol) or biomass. While the for­mer is ob­viously not CO2-neu­tral, the latter com­petes for arable land. The di­rect con­version of CO2 and electrolytic H2 to C1+ fuels, in turn, is catalyzed out by elec­troactive microbes in the dark (see title figure), avoid­ing food crop com­petition for sun-lit land. Unfortunately, little re­search has been under­taken beyond proof of con­cept of few electroactive strains. In stark con­trast, a plethora of metabolic studies in non-BES is avail­able. These studies often pro­pose the use of GMOs or complex or­ganic sub­strates as precur­sors. We propose to systemati­cally identify metabolic strategies for liquid bio-electrically engineered fuel (BEEF) production. The fastest approach should start by screening meta­bolic data­bases using es­tablished methods of metabolic modeling, fol­lowed by high throughput hypothesis testing in BES. Since H2 is the intermediate in bio-electrosynthesis, the most efficient strategy is to focus on CO2 and H2 as di­rect pre­cursors with as few in­termediate steps as pos­sible. Scala­bility and energy effi­ciency, eco­nomic feasibil­ity that is, are pivotal elements. 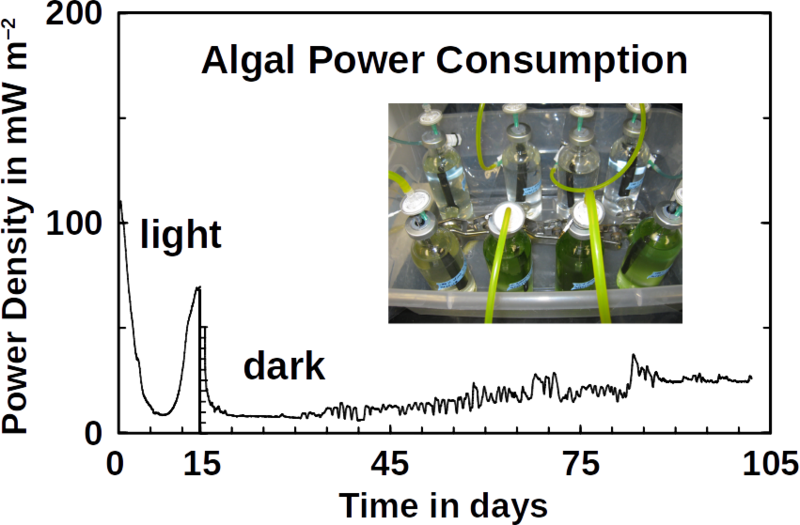 First, an electrotrophic acetogen produces acetate, which then used by heterotrophic algae in a consecutive step. The biggest obstacle for BEEF production is lacking knowledge about pathways that use CO2 and electrolytic H2. This gap exists despite metabolic data­bases like KEGG and more recently KBase, making metabolic design and adequate BEEF strain selection a guessing game rather than an educated ap­proach. Nonetheless, metabolic tools were used to model fuel pro­duction in single cell yeasts and various prokaryotes. In spite of their shortcomings, metabolic data­bases were also employed to model species interactions, for example in a photo-het­erotroph consor­tium using software like ModelSEED / KBase (http://mod­elseed.org/), RAVEN / KEGG and COBRA. A first sys­tematic at­tempt for BEEF cul­tures produci­ng acetate demonstrated the usability of KBase for BES. This research was a bottom-up study which mapped ex­isting genomes onto existing BEEF consor­tia. The same tool can also be em­ployed in a top-down ap­proach, starting with the desired fuel to find the re­quired or­ganisms. Some possi­ble BEEF organisms are the following. Yeasts are among the microorganisms with the greatest potential for liquid biofuel production. Baker’s yeast, (Saccha­romyces cerevisiae) is the most promi­nent exam­ple. While known for ethanol fermentat­ion, yeasts also produce fusel oils such as bu­tane, phenyl, and amyl derivate aldehy­des and alco­hols. Unlike ethanol, which is formed via sugar fer­mentation, fusel oil is syn­thesized in branched-off amino acid pathways followed by alde­hyde reduction. Many en­zymes involved in the re­duction of aldehydes have been identified, with al­cohol dehydro­genases be­ing the most commonly ob­served. The corre­sponding reduc­tion reactions require reduced NADH⁠ but it is not known whether H2 pro­duced on cathodes of BES can be in­volved. Clostridia, for example Clostridium acetobutylicum and C. carboxidivo­rans, can pro­duce alcohols like butanol, isopropanol, hexanol, and ketones like acetone from complex sub­strates (starch, whey, cel­lulose, etc. ) or from syngas. Clostridial me­tabolism has been clarified some time ago and is dif­ferent from yeast. It does not necessar­ily require com­plex precursors for NAD+ reduction and it was shown that H2, CO, and cath­odes can donate elec­trons for alcohol production. 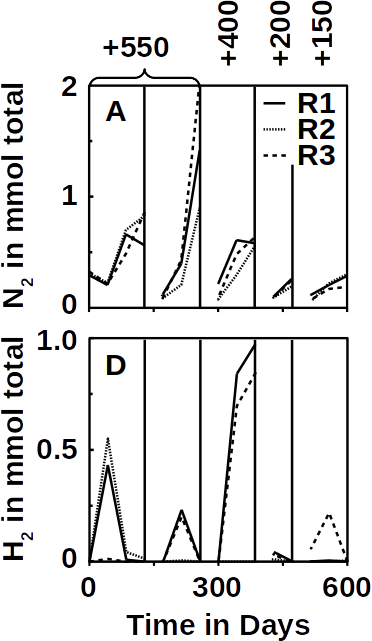 CO2 and H2 were used in a GMO clostridium to produce high titers of isobu­tanol. Typi­cal representa­tives for acetate produc­tion from CO2 and H2 are C. ljungdahlii, C. aceticum, and Butyribac­terium methy­lotrophicum. Sporo­musa sphaeroides pro­duces acetate in BES. Clostridia also dominated mixed cul­ture BESs converting CO2 to butyrate. They are therefore prime targets for low cost biofuel production. 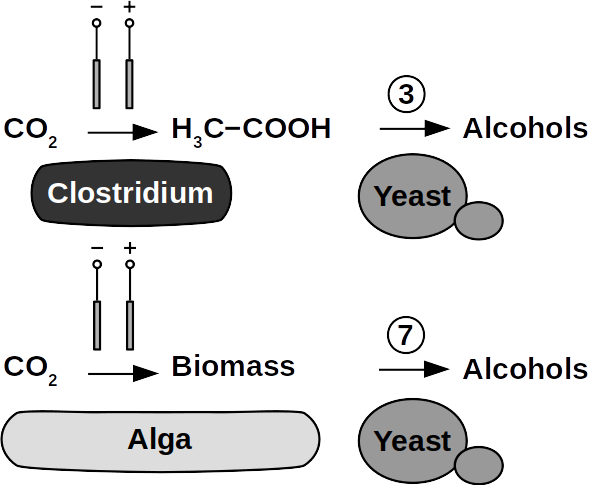 Alcohols in clostridia are produced from acetyl-CoA. This reaction is re­versible, al­lowing ac­etate to serve as substrate for biofuel production with extra­cellular en­ergy sup­ply. Then, en­ergy con­servation, ATP syn­thesis that is, can be achieved from ethanol electron bifurca­tion or H2 oxida­tion via respi­ration. While pos­sible in anaero­bic clostridia, it is hitherto unknown whether elec­tron bifurca­tion or res­piration are linked to alcohols or ke­tone synthesis. Phototrophs like Botryococcus produce C1+ biofuels as well. They synthesize a number of different hydro­carbons including high value alkanes and alkenes as well as terpenes. However, high titers were achieved by only means of ge­netic engineering, which is economically not feasible in many countries due to regulatory constrains. Moreover, aldehyde dehy­dration/deformylation to alkanes or alkenes requires molecular oxygen to be present. Also the olefin path­way of Syne­chococcus depends on molecular oxygen with the cytochrome P450 involved in fatty acid de­carboxylation. The presence of molecular oxygen affects BES performance due to immediate product degrada­tion and unwanted cathodic oxygen reduction. In contrast, our own preliminary experi­ments (see title photo) and a corrosion experi­ment show that algae can live in the dark using electrons from a cath­ode. While the en­zymes in­volved in the production of some algal biofuels are known (such as olefin and alde­hyde de­formylation), it is not known whether these pathways are connected to H2 utilization (perhaps via ferredox­ins). Such a con­nection would be a promising indicator for the possibility of growing hydrocar­bon produc­ing cyanobacteria on cathodes of BES and should be examined in future research. At Frontis Energy we believe that a number of other microorganisms show potential for BEEF production and these deserve further investi­gation. To avoid GMOs, BES compatible co-cultures must be identified via in silico meta­bolic reconstruc­tion from existing databases. Possible inter-species intermediates are unknown but are prerequisite for suc­cessful BES operation. Finally, a techno-economical assessment of BEEF pro­duction, with and with­out car­bon taxes, and compared with chemical methods, will direct future research. Now we have published a scientific article in the online magazine Frontiers in Energy Research where we show that the process is thermodynamically possible and does indeed occur. Methanogenic microbes in anaerobic digester sludge remove the hydrogen (H2) formed by electrolysis from the reaction equilibrium. As a result, the redox potentials of the oxidative (N2/NH3) and the reductive (CO2/CH4) half-reactions come so close that the process becomes spontaneous. It requires a catalyst in the form of wastewater microbes. 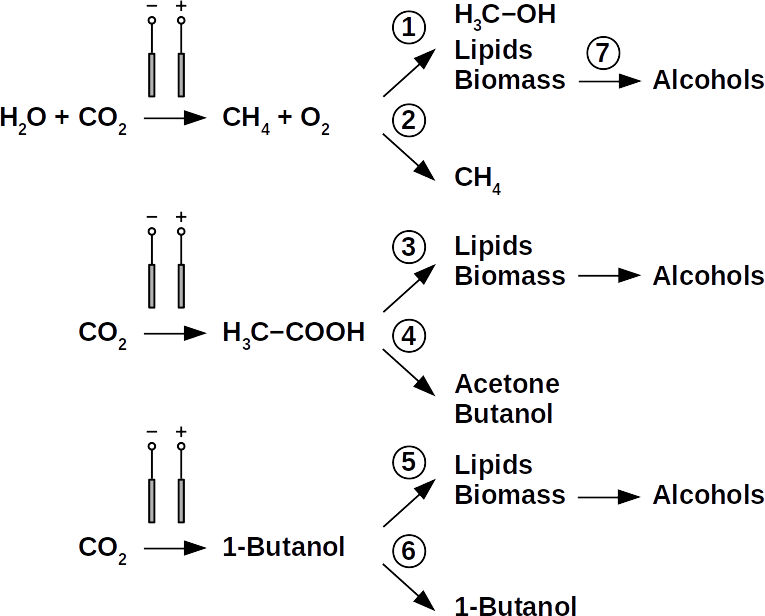 Pourbaix diagram of ammonium oxidation, hydrogen formation and CO2 reduction. At pH 7 and higher, the oxidation of ammonium coupled to methanogenesis becomes thermodynamically possible. Nitrification would have caused an electrochemical short circuit, as the electrons are transferred from the ammonia directly to the oxygen. This would have bypassed the anode (the positive electron accepting electrode) and stored the energy of the ammonia in the water − where it is useless. This is because, anodic water oxidation consumes much more energy than the oxidation of ammonia. In addition, precious metals are often necessary for water oxidation. Without producing oxygen at the anode, we were able to show that the oxidation of ammonium (the dissolved form of ammonia) is coupled to the production of hydrogen. It was important that the electrochemical potential at the anode was more negative than the +820 mV required for water oxidation. For this purpose, we used a potentiostat that kept the electrochemical potential constant between +550 mV and +150 mV. At all these potentials, N2 was produced at the anode and H2 at the cathode. Since the only source of electrons in the anode compartment was ammonium, the electrons for hydrogen production could come only from the ammonium oxidation. In addition, ammonium was also the only nitrogen source for the production of N2. As a result, the processes would be coupled. This is exactly the reaction described above. Bioelectrical methanogens grow at cathodes and belong to the genus Methanobacterium. Members of this genus thrive at low H2 concentrations. 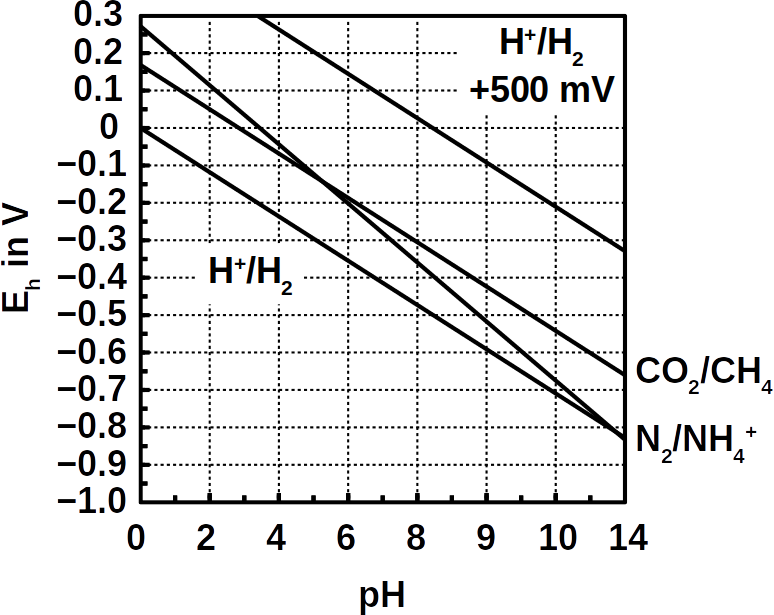 The low energy gain is due to the small potential difference of ΔEh = +33 mV of CO2 reduction compared to the ammonium oxidation (see Pourbaix diagram above). The energy captured is barely sufficient for ADP phosphorylation (ΔG°’ = +31 kJ/mol). In addition, the nitrogen bond energy is innately high, which requires strong oxidants such as O2 (nitrification) or nitrite (anammox) to break them. Instead of strong oxidizing agents, an anode may provide the activation energy for the ammonium oxidation, for example when poised at +500 mV. However, such positive redox potentials do not occur naturally in anaerobic environments. Therefore, we tested whether the ammonium oxidation can be coupled to the hydrogenotrophic methanogenesis by offering a positive electrode potential without O2. Indeed, we demonstrated this in our article and have filed a patent application. With our method one could, for example, profitably remove ammonia from industrial wastewater. It is also suitable for energy storage when e.g. Ammonia synthesized using excess wind energy. Since Professor Potter’s discovery of the ability of microbes to turn organic molecules into electricity using microbial fuel cells (MFC) more than a century ago (Potter MC, 1911, Proc Roy Soc Lond Ser B 84:260–276), much research was done to improve the performance. Unfortunately, this did not not produce an economically viable technology. MFCs never made it out of the professors’ class rooms. This may change now that we have advanced nanomaterials available. The testing of nanomaterials in bio-electrical systems has experienced a Cambrian explosion. The focus usually was on electrodes, membranes, and in the electrolyte with infinite possibilities to find high performing composites. The benefits of such materials include a large surface area, cost savings, and scalability. All are required to successfully commercialize bio-electrical systems. The large-scale commercial application could be wastewater treatment. In our recently published literature survey we discovered that there is no common benchmark for performance, as it is usual in photovoltaics or for batteries. 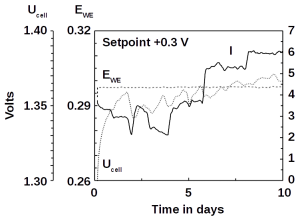 To normalize our findings, we used dollar per peak power capacity as ($/Wp) as it is standard in photovoltaics. The median cost for air cathodes of MFCs is $4,700 /Wp ($2,800 /m²). Platinum on carbon (Pt/C) and carbon nanofibers are the best performing materials with $500 /Wp (Pt/C $2,800 /m²; nanofibers $2,000 /m²). We found that carbon-based nanomaterials often deliver performance comparable to Pt/C. 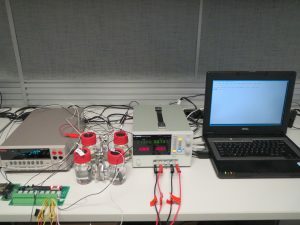 While MFCs are still far away from being profitable, microbial electrolysis cells already are. With these new carbon-based nanomaterials, MFCs however, are moving closer to become an economic reality. Graphene and carbon nanotubes are promising materials when they are combined with minerals such as manganese or iron oxides. However, the price of graphene is still too expensive to let MFCs become an economic reality in wastewater treatment. 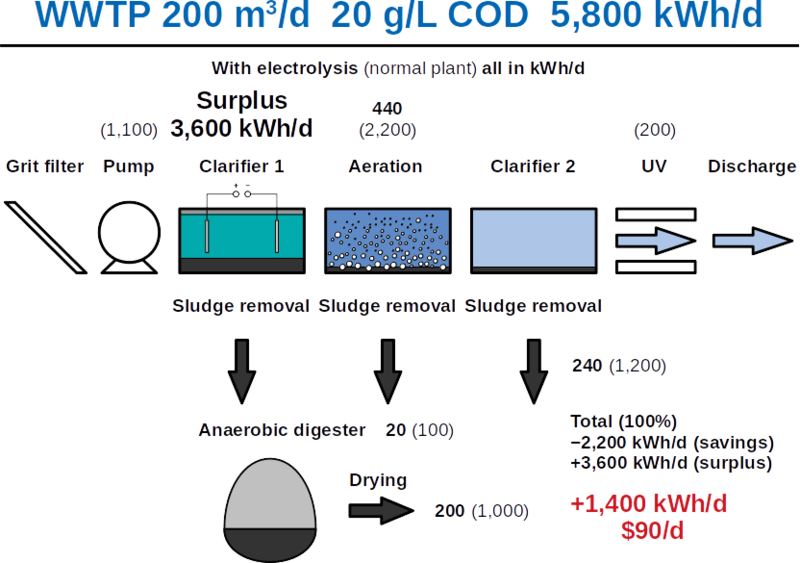 The costs of microbial electrolysis, however, are already so low that it is a serious alternative to traditional wastewater treatment as we show in the featured image above. For high strength wastewater, a treatment plant can in fact turn into a power plant with excess power being offered to surrounding neighborhoods. 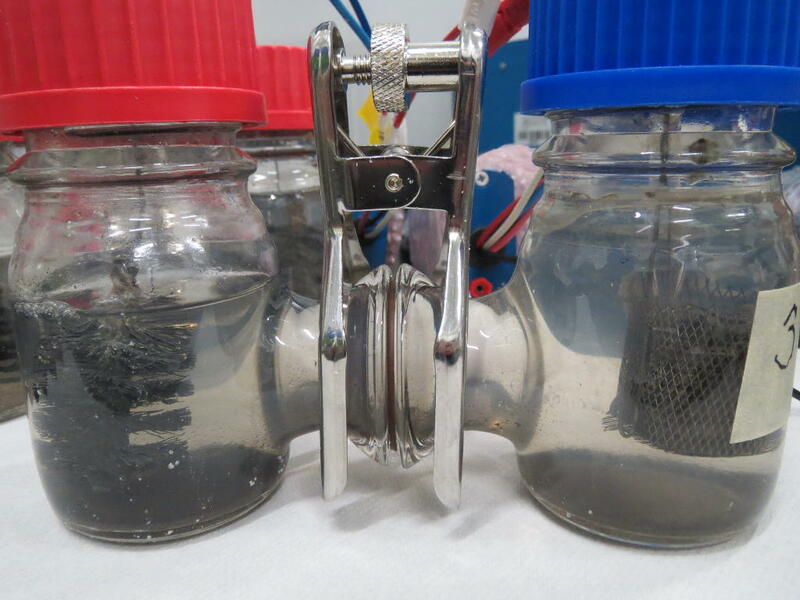 Reducing the costs of microbial electrolysis is accomplished by using a combination of cheap steel and graphite. Graphite, in turn, is the precursor of graphene, a promising material for MFC electrodes. When graphite flakes are reduced to a few graphene layers, some of the most technologically important properties of the material are greatly improved. These include the overall surface and the elasticity. Graphene is therefore a very thin graphite. Many manufacturers of graphene use this to sell a material that is really just cheap graphite. In the journal Advanced Materials Kauling and colleagues published a systematic study of graphene from sixty manufacturers and find that many high-priced graphene products consist mainly of graphite powder. The study found that less than 10% of the material in most products was graphene. None of the tested products contained more than 50% graphene. Many were heavily contaminated, most likely with chemicals used in the production process. This can often lead to a material having catalytic properties which would not have been observed without contamination, as reported by Wang and Pumera. Single-layer graphene (SLG) and multilayer graphene (MLG) are synthesized by chemical vapor deposition (CVD) from a carbon precursor on catalytic metal surfaces. In a surface-mediated CVD process, the carbon precursor, e.g. Isopropyl alcohol (IPA) is decomposed on the metal surface, e.g. Cu or Ni. In order to control the number of graphene layers formed, the solubility of the carbon precursor on the metal catalyst surface must be taken into account. Due to the low solubility of the precursor in Cu, SLG can be formed. It is difficult to grow SLG on the surface of a metal with a high affinity for the precursor. The protocol is a cheap, safe and simple method for the synthesis of MLG films by CVD in 30-45 minutes in a chemistry lab. A nickel foil is submersed in acetic acid for etching and then transferred to an airtight quartz tube. The same protects the system from ambient oxygen and water vapor. Nitrogen gas is bubbled through the IPA and the resulting IPA saturated gas is passed through the closed system. 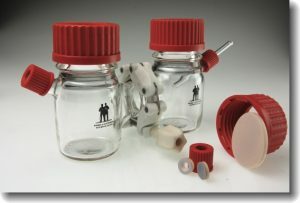 The exhaust gases are washed in a beaker with a water or a gas wash bottle. The stream is purged for 5 minutes at a rate of about 50 cc/min. As soon as the flame reaches a Meker burner 575-625 °C, it is positioned under the nickel foil, so that sufficient energy for the formation of graphene is available. The flame is extinguished after 5-10 minutes to stop the reaction and to cool the system for 5 minutes. The graphene-coated Ni foil is obtained. But how thin must graphite flakes be to behave as graphene? A common idea supported by the International Organization for Standardization (ISO) is that flakes with more than ten graphene layers consist essentially of graphite. Thermodynamics say that each atomic layer in a flake with ten or fewer layers at room temperature behaves as a single graphene crystal. In addition, the stiffness of the graphite flakes increases with the layer thickness, which means that thin graphene flakes are orders of magnitude more elastic than thicker graphite flakes. Unfortunately, to actually use graphene in bioelectric reactors, you still have to make it yourself. The ingredients can be found in our DIY Shop. Biological systems can control water flow using channels in their membranes. This has many advantages, for example when cells need to regulate their osmotic pressure. Also artificial systems, e.g. in water treatment or in electrochemical cells, could benefit from it. 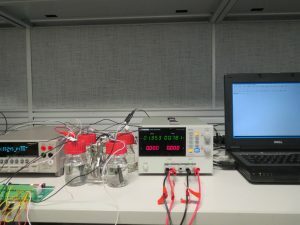 Now, a group of materials researchers behind Dr. Zhou at the University of Manchester in the United Kingdom have developed a membrane that can electrically switch the flow of water. As the researchers reported in the journal Nature, a sandwiched membrane of silver, graphene, and gold was fabricated. At a voltage of more than 2 V channels it opens its pores and water is immediately channeled through the membrane. The effect is reversible. To do this, the researchers used the property of graphene to form a tunable filter or even a perfect barrier to liquids and gases. New ‘smart’ membranes, developed using a low-cost form of graphene called graphene oxide, allow precise control of water flow by using an electrical current. The membranes can even be used to completely block water when needed. To produce the membrane, the research group has embedded conductive filaments in the electrically insulating graphene oxide membrane. 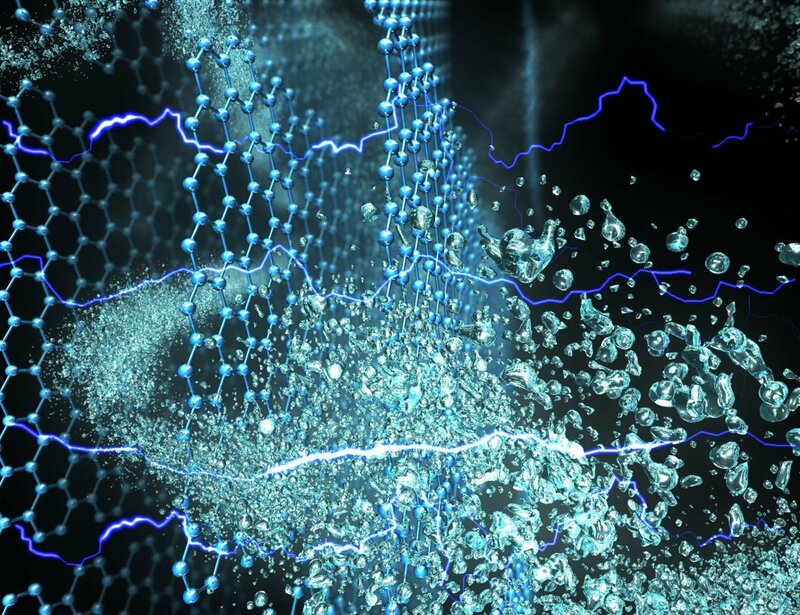 An electric current passed through these nanofilaments created a large electric field that ionizes the water molecules and thus controls the water transport through the graphene capillaries in the membrane. 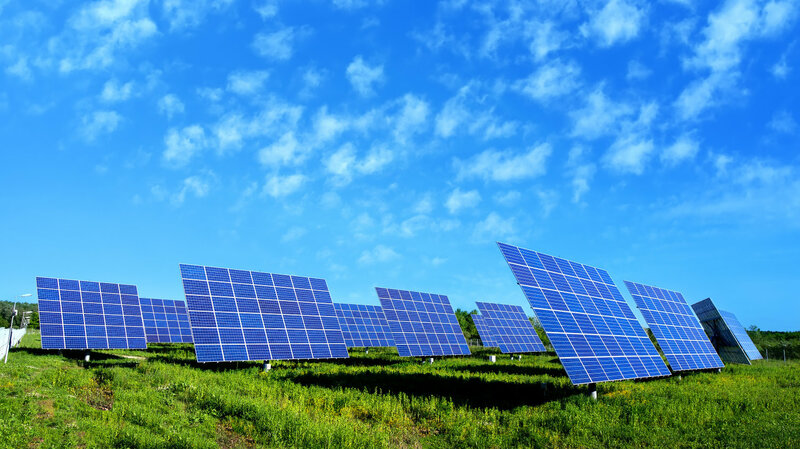 At Frontis Energy we are excited about this new technology and can imagine numerous applications. This research makes it possible to precisely control water permeation from ultrafast flow-through to complete shut-off. The development of such smart membranes controlled by external stimuli would be of great interest to many areas of business and research alike. 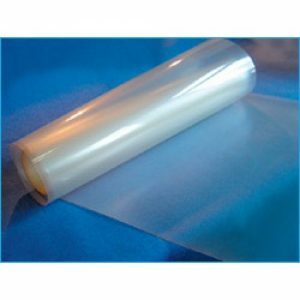 These membranes could, for instance, find application in electrolysis cells or in medicine. For medical applications, artificial biological systems, such as tissue grafts, enable a plenty of medical applications. However, the delicate material consisting of graphene, gold, and silver nano-layers is still too expensive and not as resistant as our Nafion™ membranes. But unlike Nafion™ you can tune them. We stay tuned to see what is coming next. In their paper “Effect of Start-Up Strategies and Electrode Materials on Carbon Dioxide Reduction on Biocathodes“, which was recently published in Applied and Environmental Microbiology, Saheb-Alam et al. 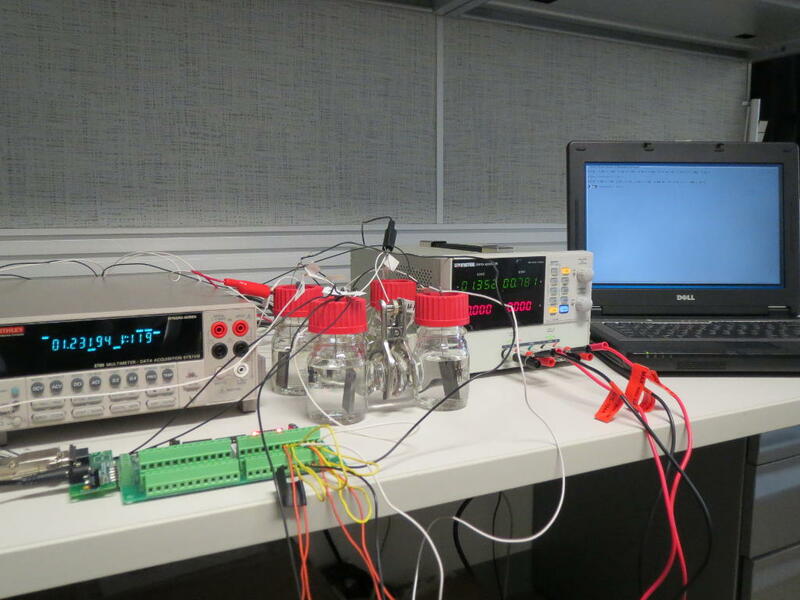 teach us how to start-up bio-electrical systems for CO2 conversion to methane gas. They compared pre-acclimated with pristine electrodes and found that there is no difference in start-up time. 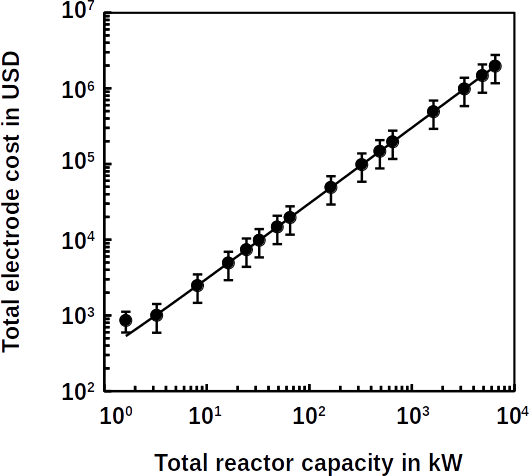 Their findings stand in contrast to previous observations where pre-acclimation has indeed helped to improve reactor performance. For example, LaBarge et al. found that electrodes acclimated with methane-forming microbes, called Methanobacterium, do reduce start-up time.